Mr. Brady was appointed to the bench by Governor Michael J. Dukakis in 1989, and retired last year. During more than 25 years on the bench, Superior Court Judge Patrick F. Brady ran a strict courtroom. He once sent a zealous defense attorney to jail over a disruptive outburst, and he tried in vain to move ahead with another trial even after the defendant slugged a passing juror, though Mr. Brady eventually had to declare a mistrial. 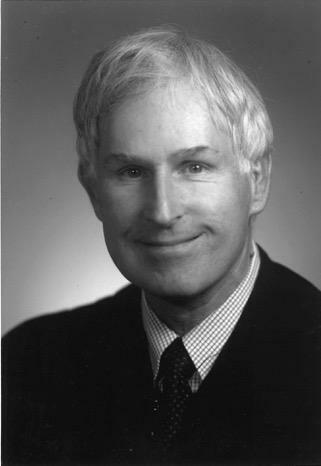 “Judge Brady was the consummate trial court judge: fair, sensible, balanced, incredibly hard-working, generous to his colleagues, and spare with his words, with that twinkle in his eye that reflected the joy he found in his work,” Supreme Judicial Court Chief Justice Ralph D. Gants said. When Mr. Brady stepped down in January 2015 because of the state’s mandatory retirement age for judges, he looked forward to playing more golf and spending time with his three grandchildren. Mr. Brady’s retirement lasted less than 18 months. He was 71 when he died of cardiac arrest Aug. 10 in his Needham home. “He was an eminently fair judge,” said attorney Michael Doolin, who defended clients in Mr. Brady’s courtroom several times. Mr. Brady’s death shook his family and former colleagues, and his friends at the Charles River Country Club, where he was known as a fitness devotee who would rather walk the greens than ride in a cart. An autopsy found he did not suffer from heart disease, according to his family. During winters, he took daily home workouts on a treadmill while memorizing passages of Shakespeare, his family said. He had almost reached his goal of reading and attending a performance of every Shakespeare play. Mr. Brady had recently passed the US Golf Association’s rules exam and was a volunteer official, traveling around New England for tournaments. He took the exam twice, according to Gleason, because he was disappointed his first score was in the B range. On the second try, he got an A. “His judicial colleagues remember him for his formidable work ethic, extraordinary legal mind, unflappable temperament, and kindness and generosity,” said Superior Court Chief Justice Judith Fabricant. Colleagues knew they could consult with him about thorny questions of law and procedure, she said, and he would regularly take on extra cases in addition to his own docket to avoid delays in the system. The judge made headlines in 2011 when he found defense attorney Barry P. Wilson guilty of contempt. Wilson was outraged when Mr. Brady seated a juror who had worked in federal law enforcement after dismissing a woman who said her two sons had criminal records. Mr. Brady sentenced Wilson to 90 days in jail. Born in Chicago, Mr. Brady grew up in the small Midwestern community of Chippewa Falls, Wisc. He would later tell his family about an idyllic childhood that he shared with a mutt named Tag. His father, Frederick, had a law degree and worked in business. His mother, Mary, who was trained as a nurse, sparked his lifelong passion in golf after she introduced himto the game when he was 8. As a teenager, he won a Wisconsin Elks Association golf championship. Decades later at the Charles River Country Club, he won the senior club championship and the Presidents Cup. He scored a hole-in-one three times during his life, his family said. Mr. Brady graduated from Campion Jesuit High School and received a bachelor’s degree from the University of Wisconsin, where he was in ROTC. He graduated in 1967 and joined the Army. As a lieutenant, he served in the Army’s military justice branch, known as the Judge Advocate General’s Corps, or JAG, before going to Harvard Law School, from which he graduated in 1970. He became a clerk for a Massachusetts Supreme Judicial Court justice and later was hired at the law firm Nutter McClennen and Fish. Mr. Brady spent 17 years at the firm and represented clients in product liability cases. In 1989, Governor Michael S. Dukakis appointed him to the bench. They had met at a party in the early 1970s and were married 44 years. The couple enjoyed traveling and once hiked into the Andes Mountains of Peru to reach Machu Picchu. They also hiked to the bottom of the Grand Canyon several times. In addition to his wife and grandchildren, Mr. Brady leaves a son, Mark, of Woodland Hills, Calif.; a daughter, Laura, of Rockville, Md. ; and a sister, Mary, of Minnesota. A memorial service will be held at 1:30 p.m. Saturday in First Parish Unitarian Universalist Church in Needham. Burial will be private. At home, Mr. Brady left his serious courtroom demeanor behind and could be quirky and playful. He coached his daughter’s grade school softball team to a championship and had become a doting grandfather who donned paper crowns while playing children’s board games. “We knew a completely different side of him,” Laura said. Mr. Brady recently told his daughter his emotional outlook had shifted. He told her that the arc of his life had brought him to a more open place, where bad news on television hit him harder and his love for family bubbled over.